All of us at The Stone Clinic share a core philosophy: a dedication to your well-being. 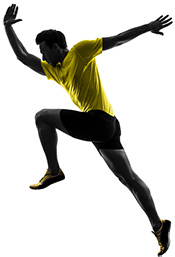 You’ll find that each of us brings a unique skill set to your treatment. We always take the time to listen, understand and explain carefully. 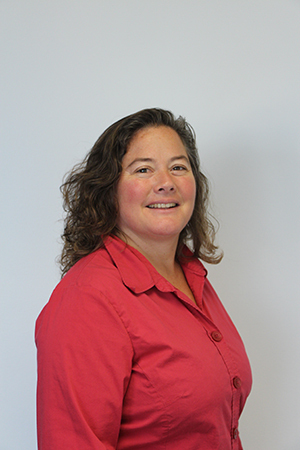 Ann has worked with Dr. Stone since April 1992 as a nurse practitioner, surgical assistant, and clinical researcher. She attended the UCLA Graduate School of Nursing and has been a registered nurse for more than 30 years. Prior to joining The Stone Clinic, Ann worked at the UCLA Medical Center where she experienced a wide range of medicine including five years in critical care. Ann has two rough-and-tumble sons, Jake and Joe, a funny husband, and lots of animals. Stephanie completed her graduate degrees at UCSF for both a Masters and Doctorate of Physical Therapy. She did her undergraduate studies at UCLA achieving a Bachelor of Science degree in Physiological Sciences and a minor in Art History. While at UCLA, she completed their three-year Sports Medicine Program and sailed on the collegiate varsity team. Stephanie continues to take continued education courses to stay on top of the manual therapy field with Maitland-specific training. She enjoys motivating and challenging her patients to improve physically, while supporting their personal growth as they return to an elevated quality of life. Stephanie is an animal lover and enjoys staying active with rock climbing, sailing, soccer, snowboarding, hiking and running. She is proficient in Mandarin and Spanish. 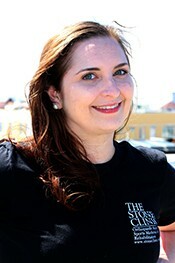 Stephanie is an active member of the Treasure Island Sailing Club and plays in a competitive adult soccer league. As head of our X-Ray and MRI Departments since 1994, Mark is responsible for all of the images taken at The Stone Clinic, and he consistently obtains high-quality images to aid in the proper diagnosis of our patients. Mark handles all of the shipping and receiving for the Clinic as well. Mark graduated in 1993 from City College of San Francisco with an AS degree in diagnostic medical imaging. In addition, Mark is a talented artist, and his work is proudly displayed at The Stone Clinic. John V Crues, III, MD, is a world-renowned radiologist, and he plays a significant role as a musculoskeletal specialist for many of The Stone Clinic’s patients. Dr. Crues received his MD at Harvard University, completed his internship at the University of Southern California in Internal Medicine, and completed a residency at Cedars-Sinai Medical Center in Internal Medicine and Radiology. He has authored numerous publications while continuing to actively participate in radiological societies such as the Radiological Society of North America, American College of Radiology, California Radiological Society, the International Society for Magnetic Resonance Medicine and the International Skeletal Society. Dr. Crues currently has ongoing research projects in orthopedic and rheumatologic MRI. He has published over 100 articles, 20 textbook chapters, and eight textbooks in the medical literature. Jamie has an extensive background with medical insurance billing and coding within a surgical private practice, in addition to having clinical experience as a certified medical assistant. She studied Business Management at Trident Technical College and received her Medical Assistant Degree from Centura College, both in Charleston, SC. Jamie spent eight years in Charleston working with ophthalmic surgeons and optometrists, but she is very excited about the transition to the field of sports medicine. As a newcomer to the Bay Area, Jamie loves exploring the city, traveling, surfing, and enjoying all of the outdoor activities that San Francisco has to offer. Ella works with patients to facilitate their surgical scheduling. She graduated from UC Davis with a BS in Psychology. She volunteers with homeless communities in both education and health care. 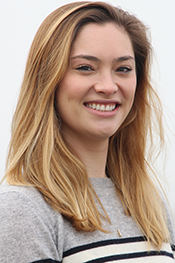 As a California native and active sports enthusiast, Ella is enthusiastic about applying her knowledge to assist patients in every facet of their health care. Ella plans to one day attend medical school; for now, she enjoys traveling, snowboarding, and exploring the fine eateries of San Francisco. Thomas focuses his research on orthopedics, biomaterials and product development. Prior to his affiliation with The Stone Clinic, he served with Genetics Institute of Cambridge Massachusetts and Massachusetts Institute of Technology’s Department of Chemical Engineering. Research publications include bone graft substitutes and advanced research into growth factor delivery for orthopedic, oral and maxillofacial indications. Thomas is also contracted to Stone Research Foundation where he directs a cartilage shell graft + stem cells study which may offer the world’s first minimally-invasive total biologic joint replacement. 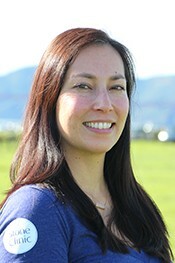 Teresa is a San Francisco native graduated from San Francisco State University with a BS in Preventive Health Management and a Masters of Education from National University. Previously Teresa was the Clinic Coordinator for a non-profit health clinic with expertise in the use of electronic medical records. She loves welcoming patients and ensuring their smooth flow through the medical system.